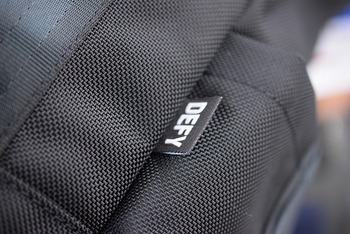 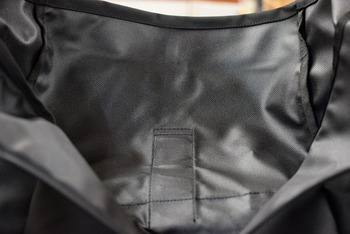 A VerBockel roll top pack has arrived from DEFY BAGS. 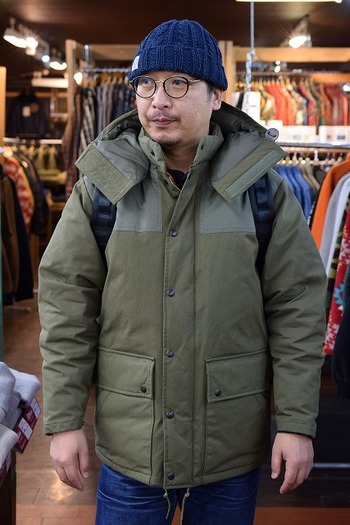 I’ll try it on while wearing the biggest jacket in our shop. 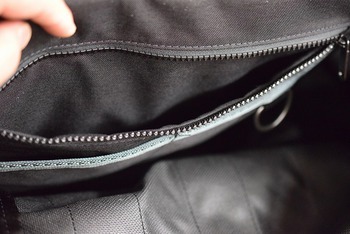 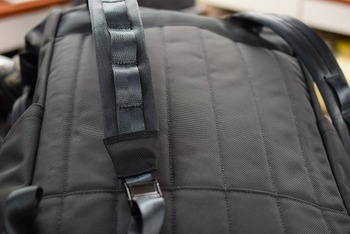 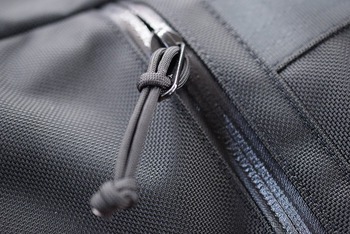 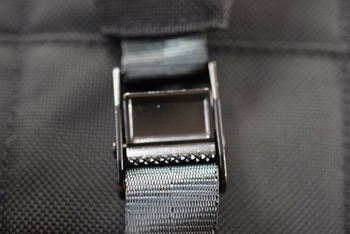 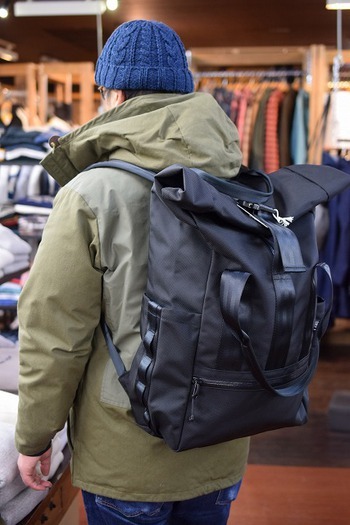 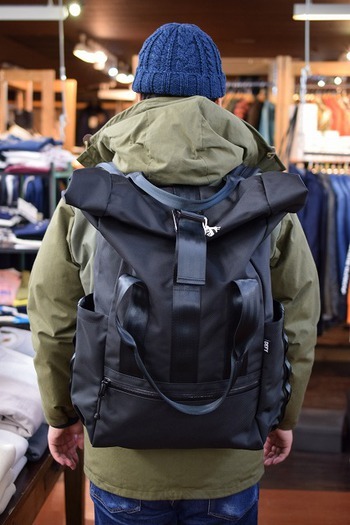 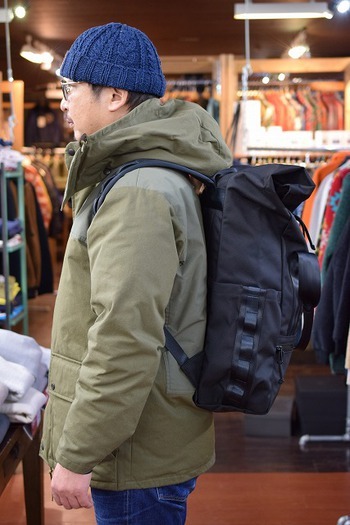 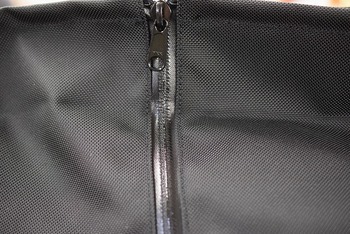 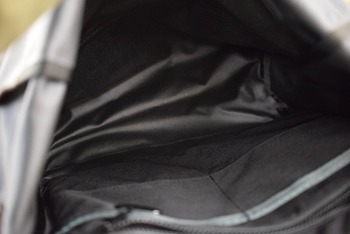 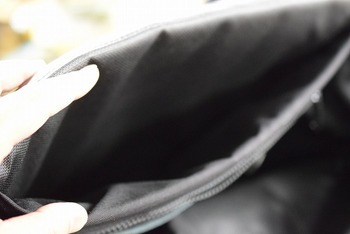 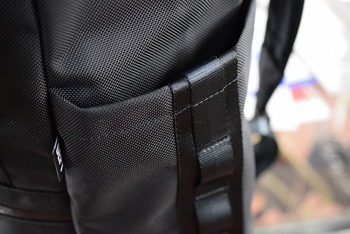 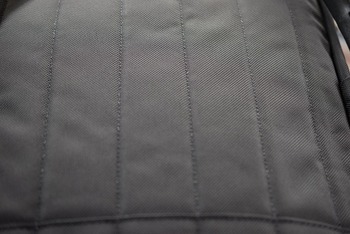 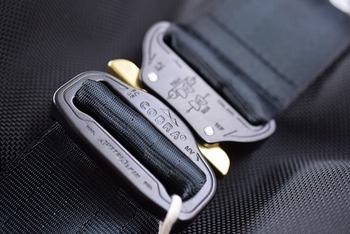 Its capacity is 35 L.
It’s made of ballistic nylon.